In 2018, the construction demand in Singapore was projected to increase to up to $31 billion. This growth of the building and construction industry in Singapore is accompanied by an increasing complexity in the design and architecture of the buildings, such as the increasing emphasis on high-rise greenery coverage. This means that it is likely no one contractor will possess all the requisite expertise and skills to carry out all aspects of the work necessary to construct the building. This is where sub-contractors come in – this article will thus seek to explain the role of a sub-contractor, how a sub-contractor is engaged and the relationship between the sub-contractor vis-à-vis the main contractor and the client. As mentioned above, sub-contractors are mainly engaged by main contractors to supplement the main contractor’s expertise or to perform specialized tasks that the main contractor lacks expertise in. In other words, it is a form of delegation – the main contractor delegates certain aspects of the projects to sub-contractors who may be better at the task. This often allows the main contractor to reduce costs while mitigating project risks. Moreover, the specialization of sub-contractors in particular areas means that the service provided is often the same as or even better than that which the contractor itself could have provided. There are many ways to classify sub-contractors. One way is according to the various aspects of construction, ranging from piling, roofing, cladding, civil engineering, steelwork, plumbing and even electrical services. Another way is to consider what the sub-contractor brings to the table. Apart from actually carrying out the construction of the building, sub-contractors can also supply labour, goods and material, other technical expertise, or a mix of these. Domestic sub-contractors: these are sub-contractors that are selected and appointed by the main contractor only. Nominated sub-contractor: these are sub-contractors who are selected by the client that the client wants to be involved in the project. After this nomination process, the client then instructs the main contractor to enter into a sub-contract with the nominated sub-contractors. Named sub-contractors: these are sub-contractors who are selected by the main contractor. However, the main contractor’s choice is limited to a list of acceptable sub-contractors provided by the client. A named sub-contractor can be a sub-contractor that the client previously sought tenders from, and they may pass these on to the main contractor, although it is the responsibility of the main contractor to negotiate an actual price. For named-sub-contractors, the practice is that the sub-contractors are engaged by the main contractor. Even if they are selected by the client, it is the main contractor and the sub contractor who will eventually enter into a sub-contract. This is important because it means that the main contractor assumes responsibility for the sub-contractor’s performance. Thus, both the main contractor and sub-contractor will owe and be entitled to the contractual obligations stipulated in the sub-contract. That being said, the sub-contract is not completely divorced from the main contract between the main contractor and the client. Often in larger projects, the sub-contracts will mirror the form and substance of the main contract. This may include cross-references between the main contract and the sub-contract, or some provisions in the main contract even being replicated in the sub-contract. Where the project is complex with multiple entities needed to complete the project, the main contractor will often seek to have the subcontractor legally responsible for as much of the project as possible through a back-to-back contract. However, in a standard sub-contract (non back to back), there is often no contractual relationship between the sub-contractor and the client. This arises from the fact that the contract is privy only between the sub-contractor and the main contractor. The main contractor’s contract with the client is legally separate from the standard sub-contract, even if there may be some similarities between them as mentioned above. There are two implications for this type of no privity relationship. First, the client does not owe any direct contractual obligation to the sub-contractor. There is no direct obligation by the client to pay the sub-contractor for its services. Thus, the sub-contractor must claim against the main contractor for work done or material supplied. Second, the sub-contractor does not have any direct obligation to the client. Thus, the client cannot make any contractual claim against the sub-contractor, for any work defects, but must claim against the main contractor instead. Of course, there are certain exceptions to this rule. In particular, the Contracts (Rights of Third Parties) Act (CRTPA) provides for certain situations in which a contractual claim may be made, either by the client against the sub-contractor or vice versa. 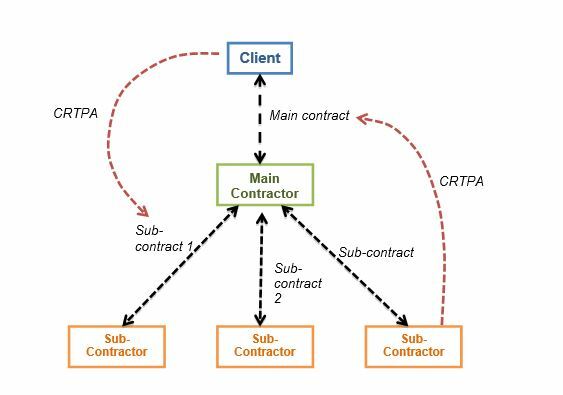 In summary, the diagram above shows the relationship between the client, main contractor and sub-contractor(s). The main contract and the sub-contracts are all separate. The main contract is only between the client and main contractor, and the sub-contractor is only between the main contractor and sub-contractor. However, there may be exceptions under the CRTPA where the client may be able to take advantage of the sub-contract, or where the sub-contractor may be able to take advantage of the main contract. Have a question on sub-contracts? 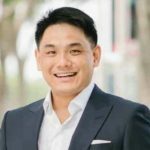 If you have any questions on sub-contracts, you can request a quote with Stephen Wong or lawyers with similar expertise. With Quick Consult, a lawyer will call you back within 1-2 days from a transparent, flat fee from S$49 to answer your questions and give you practical legal guidance on your potential next steps. Power of Attorney- What Is It and When Do You Need It?